JUST IN!!!! PHOTOS COMING SOON!!! 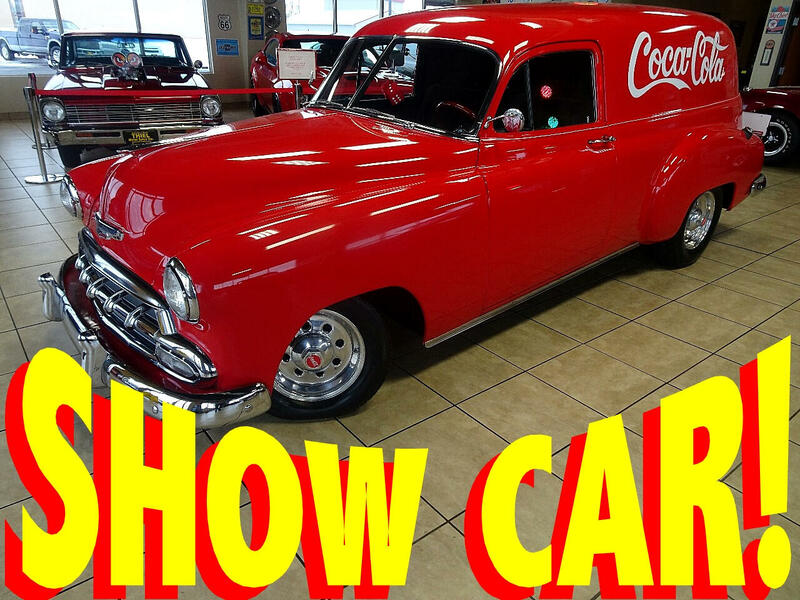 SUPER COOL 1952 Chevrolet SEDAN DELIVERY finished in BRIGHT RED with Coka-Cola Graphics!!! This is a REAL Head-Turner and conversation piece! 350 Cubic-Inch V8!!! Automatic Transmission!!! American-Racing Wheels!!! Runs - Drives - and Performs GREAT!!! CALL or EMAIL with QUESTIONS! Message: Thought you might be interested in this 1952 Chevrolet Sedan Delivery.